Lit-erally Black: The Break Up Plan By Tia Kelly: Breakup Plan, Bih Where? 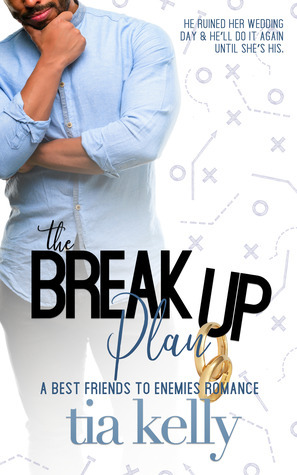 The Break Up Plan By Tia Kelly: Breakup Plan, Bih Where? The “break up plan,” part of this book is as elusive to me as it was before I started reading the book as it is now that I’ve finished it. The synopsis and that little enticing paragraph on the front gave me an impression of something I never got. What I expected to be a tale of a man dead set on snatching the woman that was meant to be his from the arms of a man that didn’t deserve her was actually a disconnected story that lacked the depth and emotion I expected it to have. When I think friends to lovers or friends to enemies stories, I expect intense emotions. Shifts in relationships should be dramatic, at least in my lowly opinion. There was some “fight” in the story but something was missing from it that I can’t quite put my finger on. Something was missing in the story that I can’t specifically name—though I could pinpoint some areas where things remained unsolved or unexplained which is problematic for a story where the characters have known each other for so long. I was wholly pulled in from page one. I could tell right away that Kelly’s writing style is/was the kind that I like. It was straightforward and did not dally. But once I settled into about half of the book things started to get a little muddled. Things stopped making sense for me. I couldn’t quite get a handle on my feelings for Avery and Drew’s relationship professional or otherwise. It started with the loosely declared breakup plan—which was more of a passerby, “You’ve got something there idea,” as opposed to an actual plan which would have been something to see. I would have been completely enthused by a Dwayne Wayne Whitley style “baby please,” wedding crash moment, but what I got was a relationship that benefited from a breakup that I saw coming from a mile away. Don’t get me wrong it’s not a half bad book, it just lacked a certain something. Like when you’re making something and you go in for the taste test (All good cooks taste test their food) and you feel like something is missing but you can’t figure out if it’s pepper or salt. That’s what this was like. All the makings of a good book just lacking something to take it over the edge. It felt incomplete and that’s unfortunate.